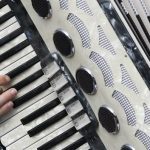 Restoration of a vintage Antoria curved keyboard Accordion from the1930’s which Andrzej has lovingly repaired, restored and tuned. 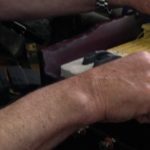 The Accordion Centre is the Midlands foremost dedicated Accordion, Melodeon and Concertina retailer and leading specialist tuning and repair workshop for your accordions, melodeons and concertinas – otherwise known as ‘free-reed’ instruments. Our retail showroom houses over 100 new and pre-owned instruments catering for all tastes, abilities and budgets – from starter accordions to the finest hand crafted Italian professional instruments. From our on-site fully equipped factory workshop we deliver expert in-house tuning, restoration and repair services for musicians, musical instrument retailers and distributors. Located a short distance from Birmingham city centre, we can be found less than 1 mile from the city’s railway stations, and just 5 minutes from the M6 by car with FREE parking outside the premises. 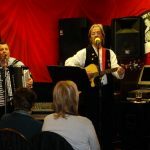 A warm welcome always awaits you at the Accordion Centre, renowned for its friendly atmosphere and unique character.